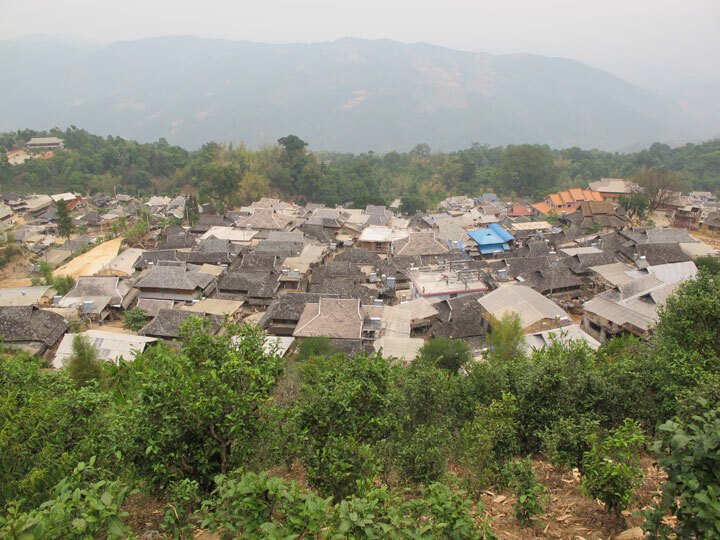 Pu-erh teas form a very diverse and distinctive group; they are made from a large-leaf variety of tea tree that grows in the tropical mountainous area of Yunnan, a south-western Chinese province bordering with Burma, Laos and Vietnam. It is a tea with a rich history that dates back to the beginning of the current era, and it is generally acknowledged that it is possibly the oldest method of tea leaf processing at all. They are easily recognised for their specific flavour and appearance. However, many people are surprised by the wide range of flavours, aromas and colours they offer. What is it then that characterises the pu-erh tea? Hoe does it differ from other teas? 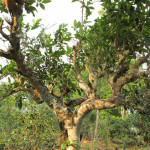 It is about several specific properties that pu-erh teas should have. 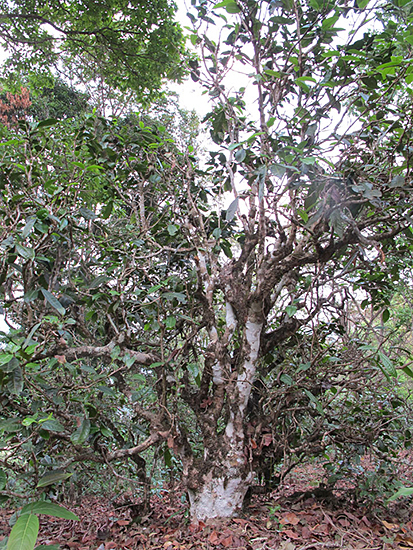 It is made of tea leaves from a large-leaf variant of Camellia Sinensis, var. Assamica, which grows in southwestern China, in the Yunnan Province. 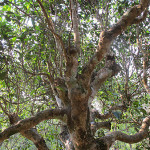 The name “Assamica” is slightly misleading, because this – probably original and the oldest – variant of tea tree occurs not only in Assam, but in the whole mountainous area, from the eastern borders of the Indian state of Ásám through Burma, and Laos to Vietnam, and of course in the Chinese province of Yunnan. From here it spread further north and east with time, gradually changing its appearance, generally becoming reducing its height and leaf size. 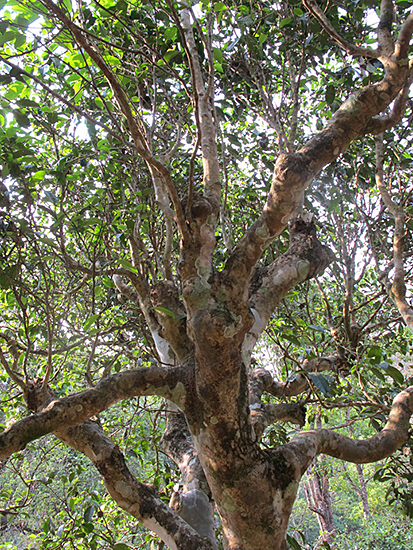 A variety of wild tea tree was first described in 1823 by Robert Bruce, who was on a business trip around Eastern India, where this plant was well known and used as medicine by the indigenous tribes. 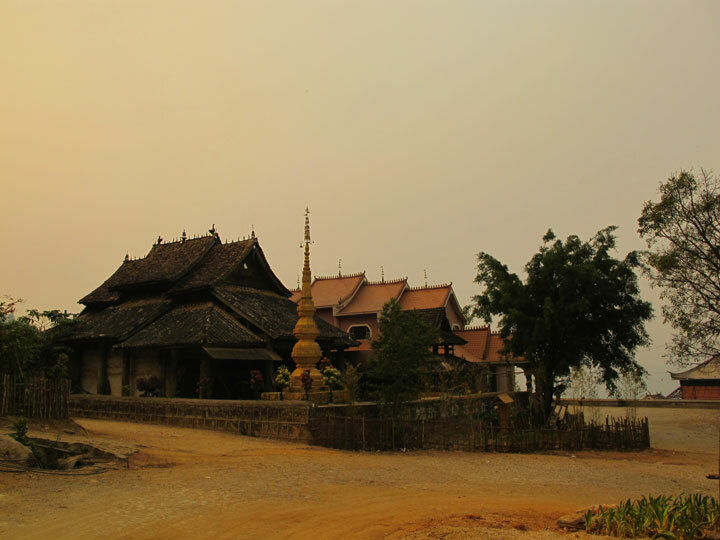 The extent of its use and spreading, the cultivated way of processing and the overall effect on the society was indescribably larger more eastwards – in Yunnan, China. 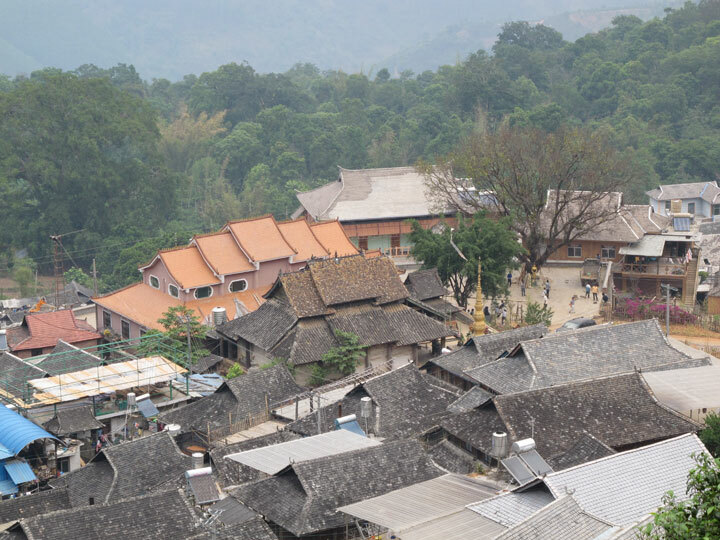 Yunnan has immense natural resources. The subtropical climate, pure nature and vast mountain ranges make possible the incredibly varied and rich production of tea and its variations. 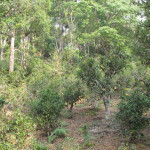 This is the place where tea tree originally comes from and where it has perfect conditions. 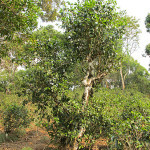 Old tea trees are sufficiently ripened, with inherently distinctive character, strength and harmony. It is thus unnecessary to finish the tea as people do with semi-green teas. It is enough to stick to the technique and not to spoil anything; keep everything the nature gave it in the leaf so as to find it in the taste, flavour and effect of the drink in our cup. 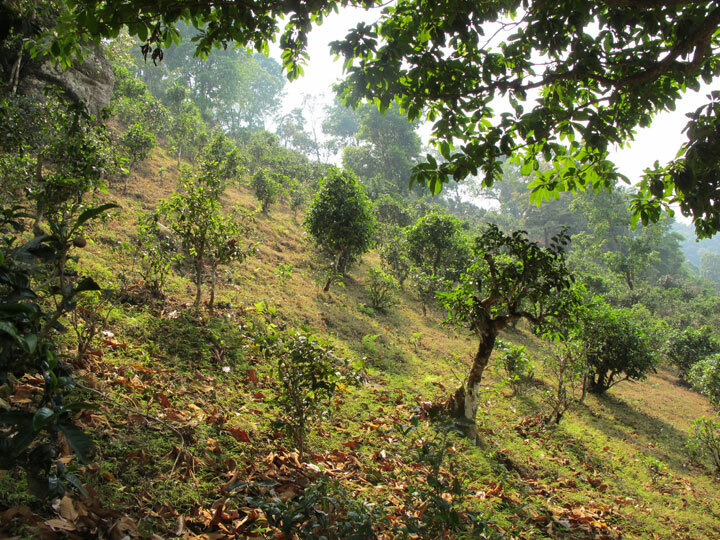 In pu-erh, great emphasis is on the origin and the quality of the tea leaves. 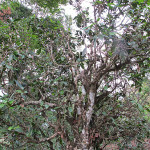 Valued are primarily leaves from old and wild trees from the local mountains. Teas from old (gushu, 古树, ancient trees) and wild (yeshu, 野树, wild trees) tea trees have a more intensive, rich and colourful spectrum of tastes. 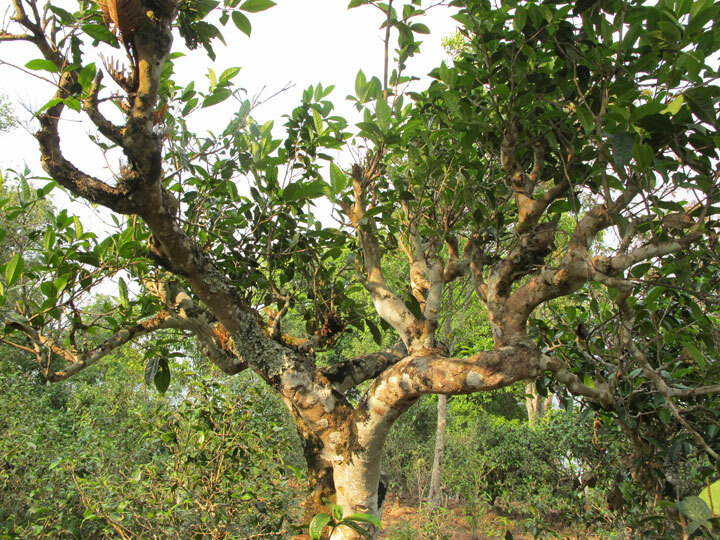 Thanks to the deeper and more ramified root system old tea trees are able to receive larger amounts and a more diverse range of minerals from the soil. This significantly contributes to the unique taste of these teas. 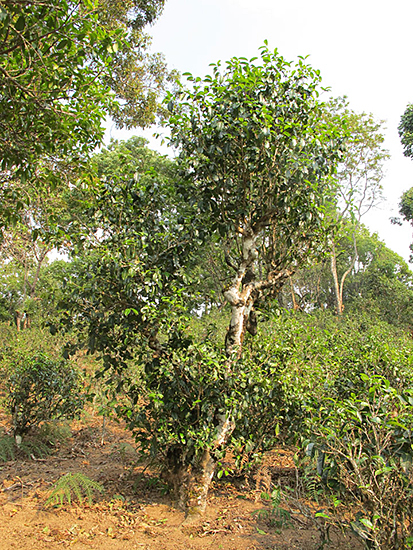 In contrast, younger trees provide lighter, fresher and more juicy tea for immediate consumption. Young trees are like young people – energetic, beautiful, sweet, somewhat shallow and foolish. In the case of pu-erhs the whole process is basically about the trying to keep the their vibrant potential and give it as much space as possible. This is also in the Chinese name for pu-erh: Sheng Cha – living tea. 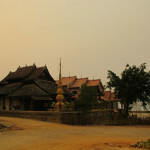 After being harvested, the leaves are left to wither to lose their natural moisture: then they are roasted in woks. It is a process called “kill green” (殺青, Sha Qing), which stops the enzymatic activities in the leaf. 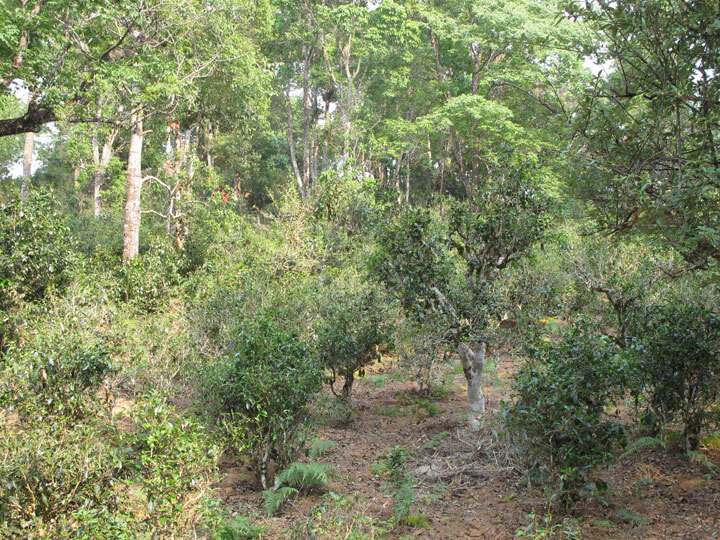 It is interesting that in this phase the leaves are subjected to significantly lower temperatures than green teas and that the activity can continue in the subsequent processing phases. Then the tea leaves are rolled and their drying finished in direct sunlight. This is yet another method characteristic of these teas. The leaf is not exposed to such high temperatures – it dries more spontaneously and gently. The final product is called Mao Cha (青毛茶 or 毛茶; literally “light green rough tea” or “rough tea”). 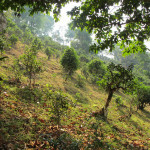 The whole process of Mao Cha making usually takes place at the very farm where it grew and where it was harvested. 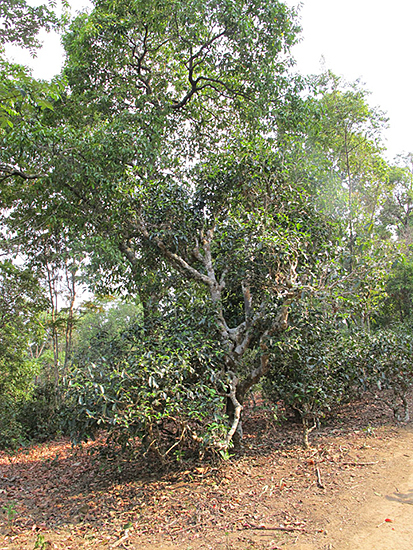 It is then sold to larger processing plants, usually one of the famed tea factories, where further phases of processing takes place. Based on the method of processing we can now divide the pu-erhs into two or three groups. From a historical point of view, only a single type of pu-erh was known up till the 1970s, the one known as Sheng Cha or Sheng Puerh. It was intended for a long ripening and its drinking time came only after many years after the production. 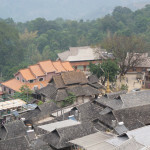 In the 1970s, the high prices of these teas, pu-erh’s popularity and the subsequent attempts to shorten the years-long ripening led to the discovery of the production of so-called Shu Puerh, which imitated the taste and aroma of old, ripened pu-erhs. The third, the newly emerging group of teas are young green pu-erhs of the Sheng type that are suitable for immediate consumption and have been gaining strong popularity recently. In tea plants Mao Cha is often mixed from different sources, then steamed and pressed the shape of different cakes, bricks or bars, in which the tea gradually finishes its drying, ferments and ripens. Ripening takes very long, ideally several decades. 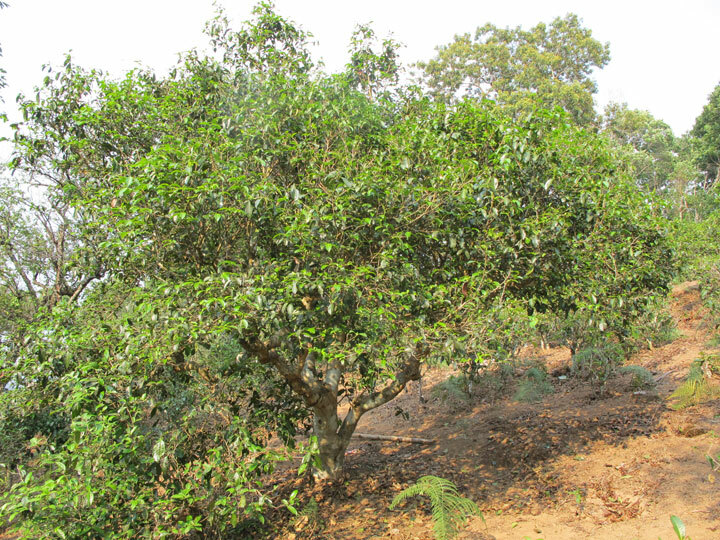 The ripening process in pu-erhs is a combination of oxidation, as we know it in black teas for instance, and microbial fermentation with the assistance of bacteria, fungi (usually Aspergillus types) and yeasts. The cocktail of these living organisms differs in different places of origin, sot the result of such long ripening can take many forms. 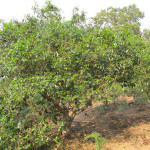 Of course, the place where pu-erhs ripen – especially their temperature and air humidity – greatly influence this process. Apart from Yunnan, the most famous regions where pu-erhs ripen are Hong Kong, Malaysia and Taiwan. Originally, the pu-erh types of tea were intended purely for ripening and they were drunk only after many years after being produced. After so much time the teas completely changed their character, from the essentially green leaves and bright, clear infusion and fresh, brisk taste to very dark tea with delicate, deep, soft but condensed taste. The attempt to speed up the process of ripening of pu-erhs led to the discovery of the Wò Dūi method (渥堆, wet piling), which was first used in the early seventies in the famous plants Menghai and Kunming and that has spread throughout the whole region and become very popular. It is a controlled enhancing and extension of all microbial processes in the leaf. The Mao Cha tea leaves are made wet again, piled on top of each other and covered by waterproof sheets under which they ripen for 40 to 60 days. 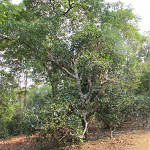 Then they are pressed, similarly as Sheng Puerhs, or dried and sold as loose-leaf tea. Although the original idea that led to the production of Shu Puerh was to replace the very long ripening process of the green variant, it basically led to the discovery of a brand new type of tea, which won its place in the tea market. After complete drying or pressing also Shu Puerhs ripen and gain quality with time. Another kind of new teas that have emerged during the hectic development of the recent years are young green teas processed in the same way as Sheng Puerh and intended for direct consumption rather than for archiving. The immense interest in pu-erh in the past two or three decades led to a massive increase in the production of these teas and to a greater diversity in tastes and smells. Due to the lack of or the astronomical prices of really old archive teas, a demand for young, unripe teas appeared. Producers adapted to this and began to make delicate, pleasant green pu-erhs. For the starters we have decided to introduce some teas, which we really appreciated. 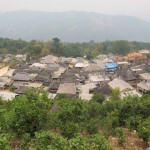 They are high quality teas produced by small farmers in limited quantities, so that the usual blending of different Mao Cha teas from different sources does not occur. They are pressed to order. We are aware of the size of the field we are entering – we would like to explore it together with you. We are going to broaden the offer of pu-erhs and we are looking forward to the new horizons that await us.